Seminar: "Set Up Your Own Home Studio" | Richard Altenbach, composer, violinist. A series of lectures designed to dispel the mystery of setting up your own home recording studio. Designed for music students as well as professional musicians, you will learn a basic understanding of MIDI and digital audio recording. This primer provides valuable information on computer programs and tools for recording, mixing, reverb, notation, and instrumental samples. 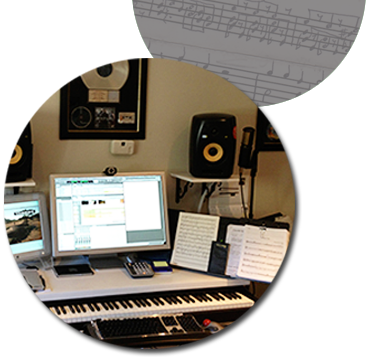 Along with prominent state of the art programs utilized in Hollywood studios, Altenbach emphasizes high-quality programs available online at little or no cost to jumpstart the aspiring composer / musician. Contact Richard if you would like to present this fascinating, fun seminar to your group. Also, Richard can present via Skype (at “bachiosaurus”) and is currently developing a series of 15 – 1/2 hour segments.